I was enjoying the peace and quiet of the morning. The girls had a new friend over for a play date and the three of them were playing upstairs. As quietly as I could, I crept upstairs to peek through the half-closed door of the bedroom. It had been turned upside down- every costume owned was on the floor, tap shoe boxes were empty on the bed, random toys were scattered around. All signs of a play date going well. I smiled, walked away and left the trio to their imaginations and laughter. Moments later, my youngest daughter came to find me, “Mom, E said that S could not play in her house and now S just walked down the stairs and she is sad.” What! I almost could not understand what was just said. One, I had just checked on them and everything seemed great. Two, my oldest, who in my eyes, is very sensitive and including of others, just told our guest that she could not play in her house (whatever the house was) in a way that made someone upset. That did not sound like something she would do at all. I got up to go see what was going on and found S at the bottom of the stairs about to cry. E was coming down the stairs with a convicted, guilty, concerned look on her face. She looked like she was about to cry. The play date was quickly falling apart. After trying to figure out what exactly happened, giving some “wise” words about how we treat our guests, and asking my daughter to apologize, I motioned my oldest daughter to the couch to sit with me for a moment. My youngest and her new friend, bounced back up the stairs as if nothing happened at all. Through whimpers and sobs, I was able to piece together the real story of the play date. My daughter felt left out- like the third wheel. She felt slighted, her sister and friend were not listening to her ideas about WHAT and HOW to play. She admitted that S and A had tried some of E’s ideas but they decided that they would rather play another way. These were relatively new and very real feelings for E. Her sister was usually the youngest in the group and the one following along with E’s friends. Today A had a chance to play with someone her own age and with someone who seemed to share many of the same interests as her. They just clicked. I was happy that A had found a friend of her own and someone to play with in their own way. My daughter may not agree with me, but I think it was good for her to have this opportunity. A chance to walk in her sister’s shoes. I hope this will teach her to be a more open to listen to her sister’s ideas of how and what to play. I also hope that she is able to see what a good thing a friend just for A is. For me, I learned that my daughters still need me to help them in social situations. Allowing kids to figure out things on their own and not micro-managing their behaviors is a good thing. But I think it is healthy and beneficial to talk about the attitudes and behaviors that you have observed. 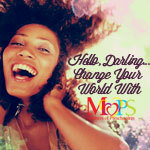 Provide opportunities to role model and practice positive attitudes and behaviors that need work at home. Help your children become socially aware and competent in the security of a safe environment and with parental love. About ten minutes post couch, the tears dried and the three girls were back to playing a new game. The play date ended as successfully as it started. A promise of another play date was met with excitement and hugs. It was a good learning experience for all of us and the girls are now looking forward to the next play date- this time without the tears. This entry was posted in EMBRACE Growth and tagged brave, girls, learning, play date, social skills, tears. Bookmark the permalink.